Digital lookbooks turn inspiration into transactions. Gorgeous pictures are only the beginning. Digital lookbooks have the power to inspire your customers with stunning images that communicate your brand’s essence. With Syndeca, you can deliver engaging digital Lookbooks that become instantly accessible, easily shoppable, and effortlessly shareable; they can even go viral, multiplying your brand’s reach with the power of social media. 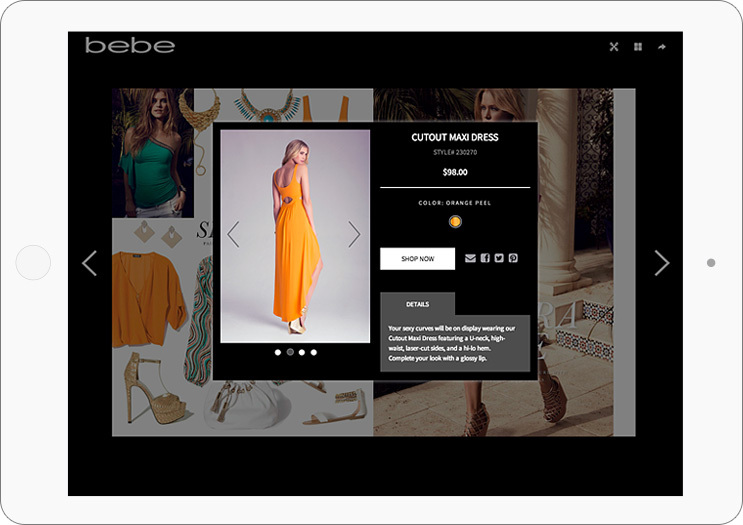 Use Lookbooks to show off your impactful images, capitalize on trends, and create editorial-style connections with click-to-purchase shopability. High-resolution images with full zoom capability. Click to shop products or see product details. 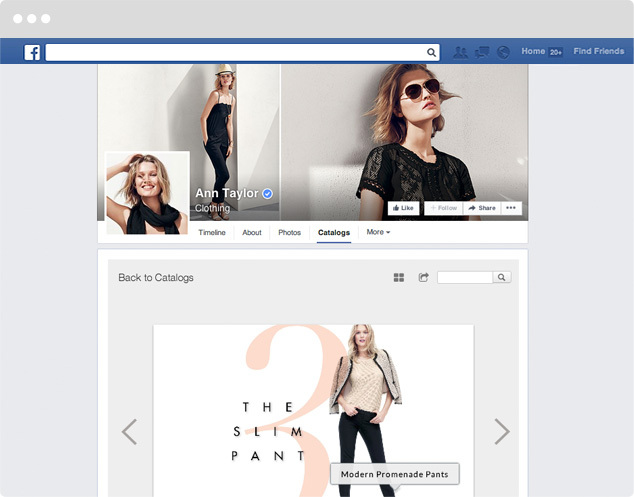 Share products or pages via email, Twitter, Pinterest and more. Embedded video with editorial and broadcast footage capabilities. Real-time updates to pricing and availability. Digital distribution provides a cost-effective way to reach new and existing customers, increase consumer touch points, and offer instant access to entirely new markets on the web. Whether you are converting print assets to digital format or creating new pieces exclusively for digital use, Syndeca allows for an easy production process. Syndeca’s unified platform provides seamless integration with your back-end systems. Implementation and updates are an easy one-step process across all channels and devices. Leverage your brand’s assets with digital distribution of Lookbooks on your website, email, social media, and mobile apps.